When it comes to capturing candid moments in wedding photography it really shows your experience when you can deliver powerful emotions from every wedding. This moment was captured because I anticipated where the guests would be. For this wedding the master of ceremonies had made a rule that if anyone wanted to see the bride and groom kiss, they had walk up to the head table and demonstrate a perfect kiss. When I saw the grooms mother walking up I knew I had to find a perfect spot to catch the reaction of the head table. What I didn't know was who was coming up with her and that turned out to be a family member. 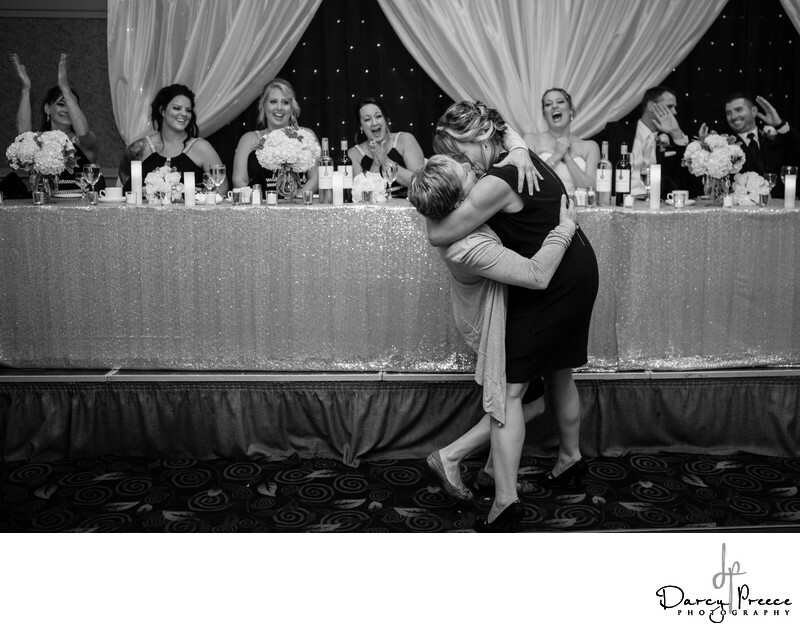 When they kissed the guests were cheering and the reactions of the head table is priceless. I could look at this image for hours just going though all the different emotions that were captured.